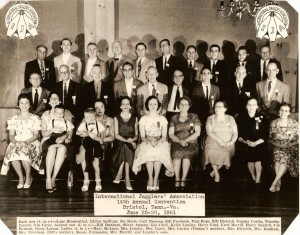 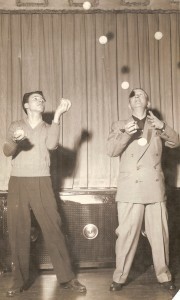 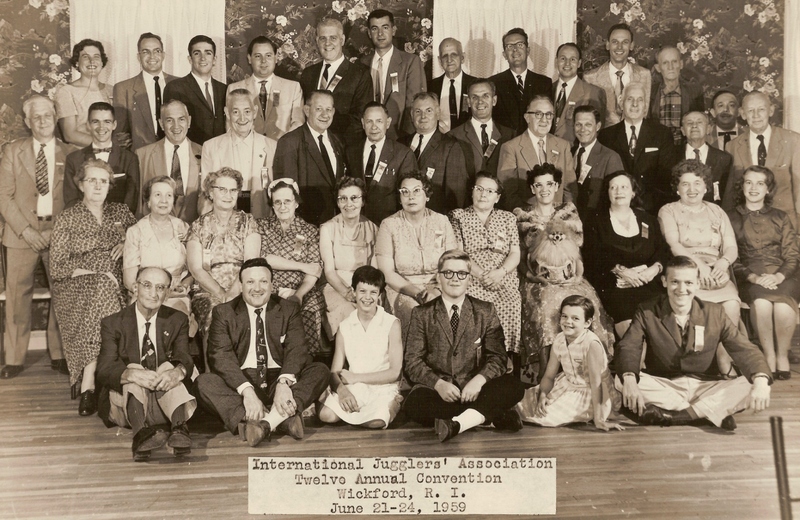 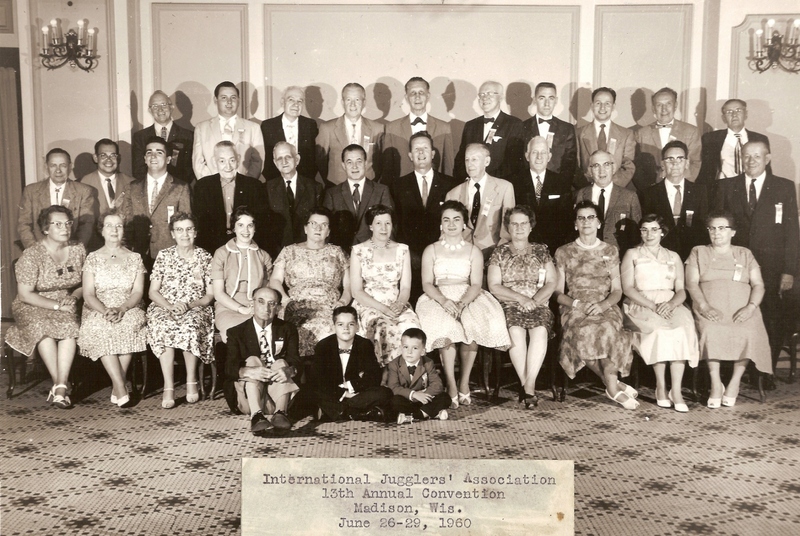 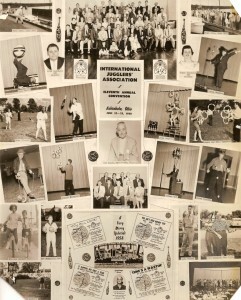 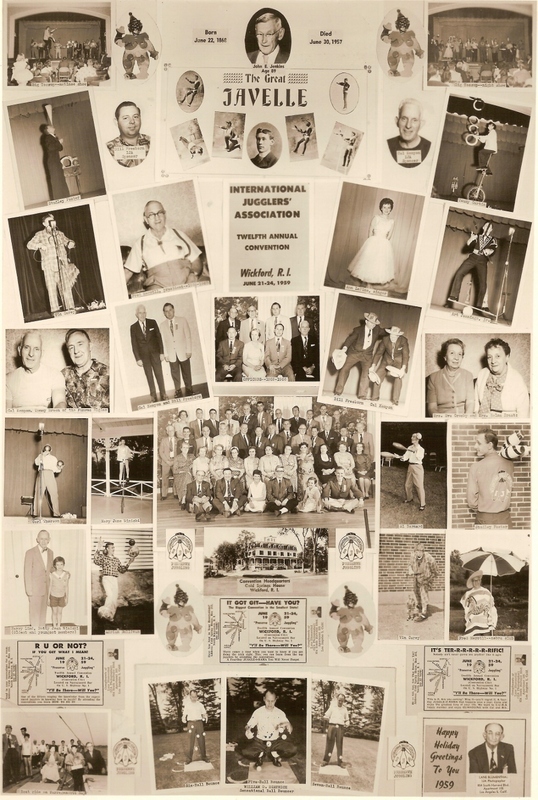 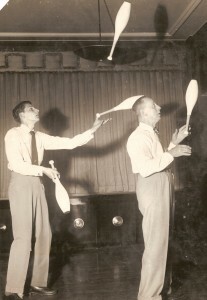 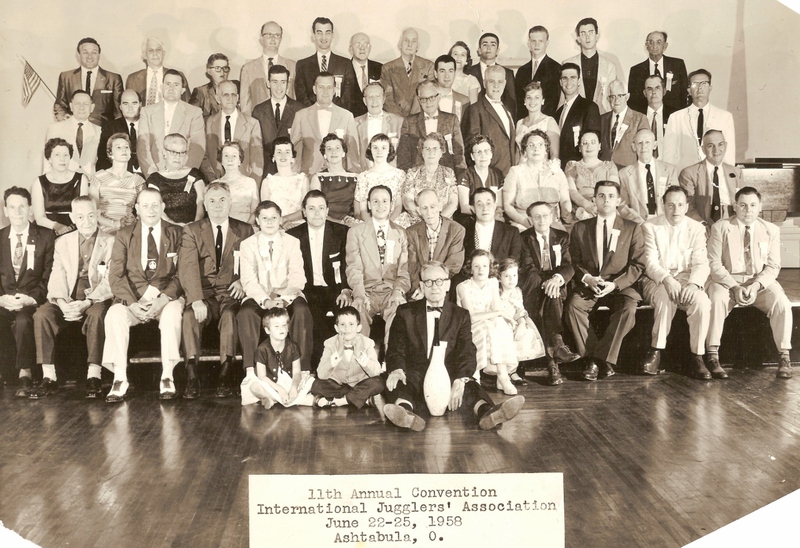 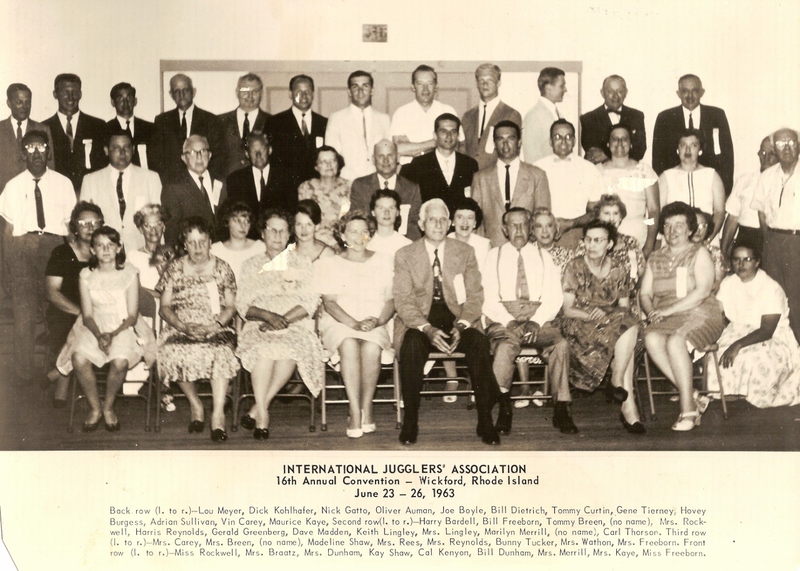 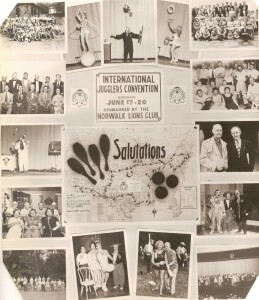 Much has been written about the founding of the IJA, especially in Juggler’s World magazines that celebrated the organization’s 40th and 50th anniversaries. 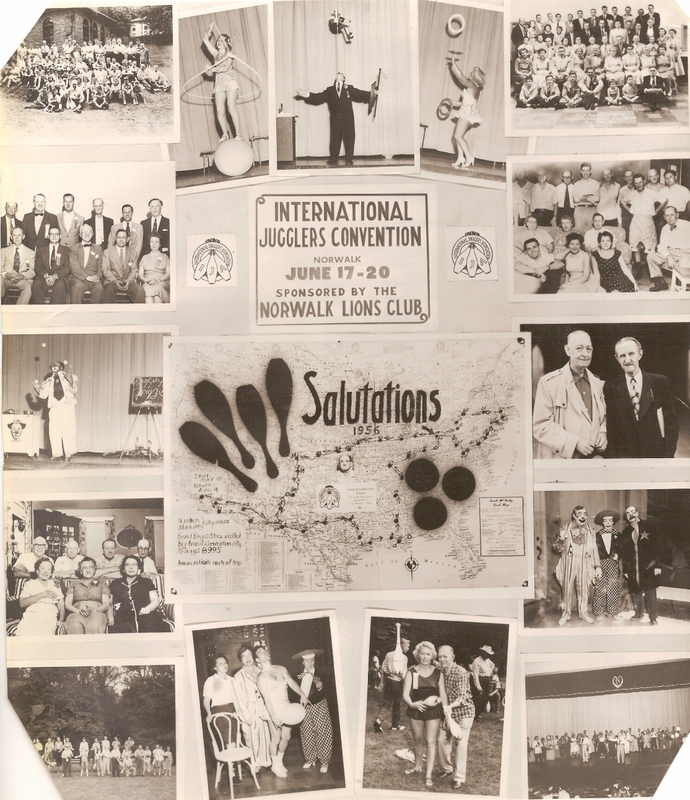 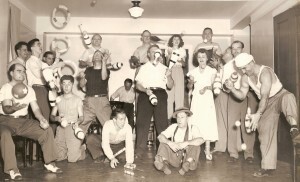 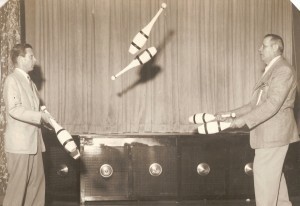 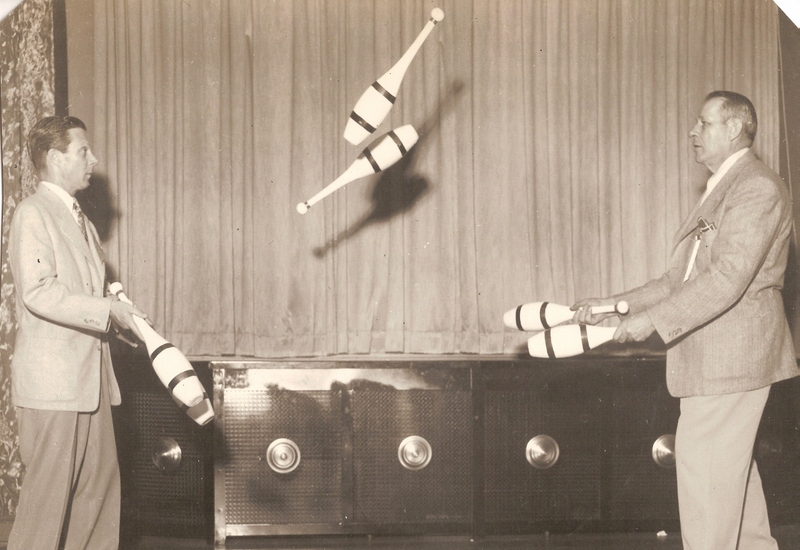 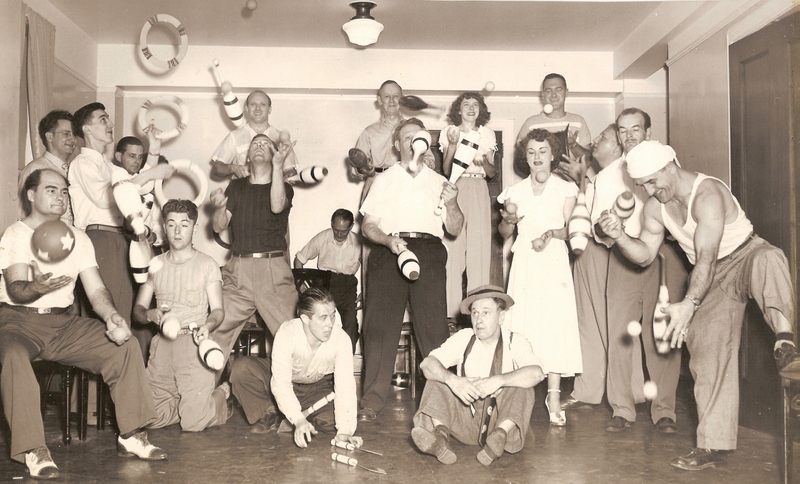 I don’t wish to repeat those articles, but instead I want to share 26 photos from the first 15 years of the IJA’s existence that I recently received as part of photo collections donated to the Historical Juggling Props Museum by Bill Dietrich and the family of Ira Mullin. 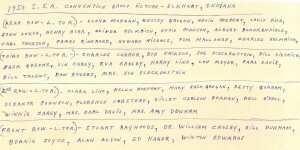 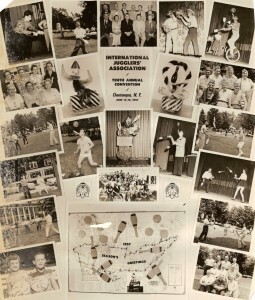 Much thanks to Scott Cain for his work in arranging for the donations of these collections. 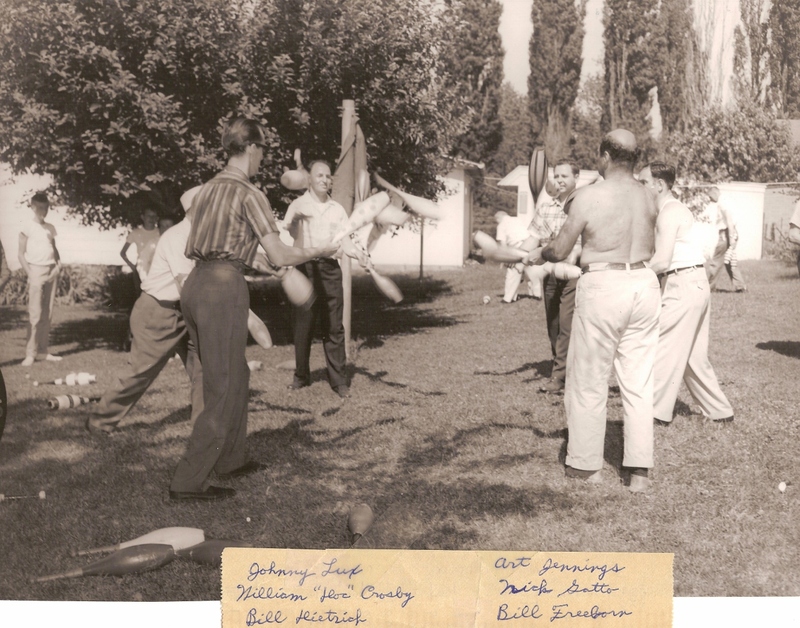 Many of these pictures were taken by Lane Blumenthal, the IJA’s official photographer at the time. 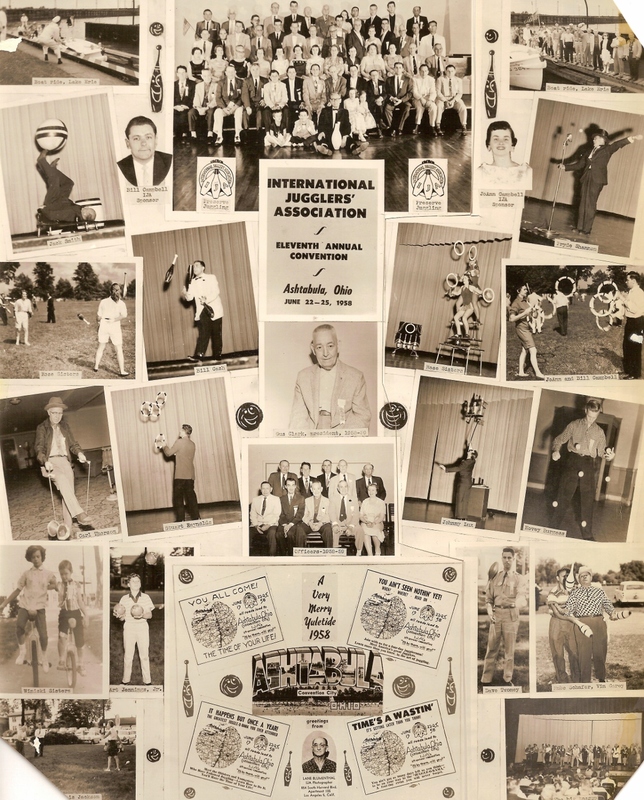 This ezine has limits to the size of photos that can be uploaded, so I would highly recommend clicking on each photo to see it at a higher resolution. 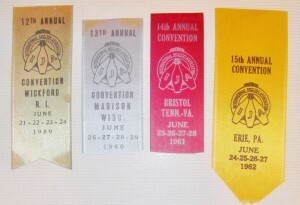 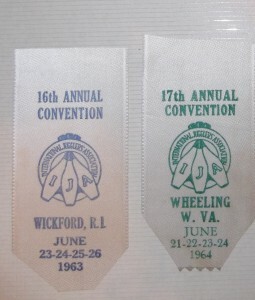 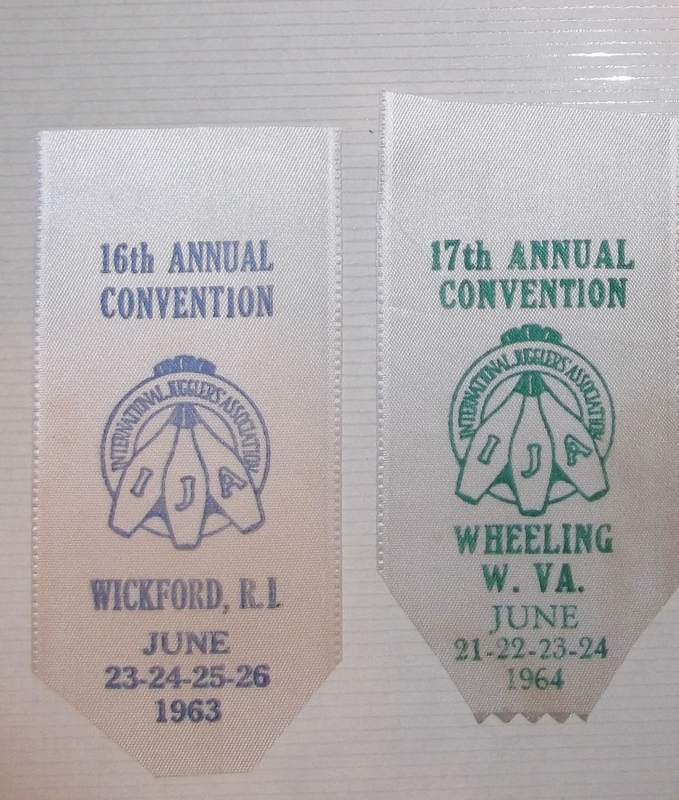 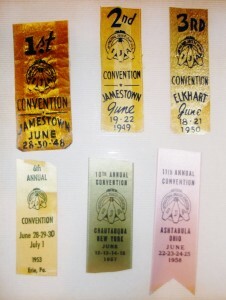 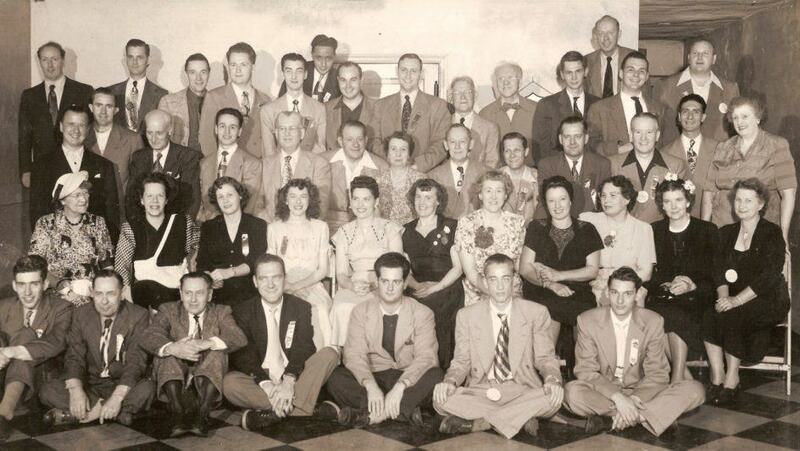 Also be sure to watch the video of the newsreel coverage of the 1950 Convention. 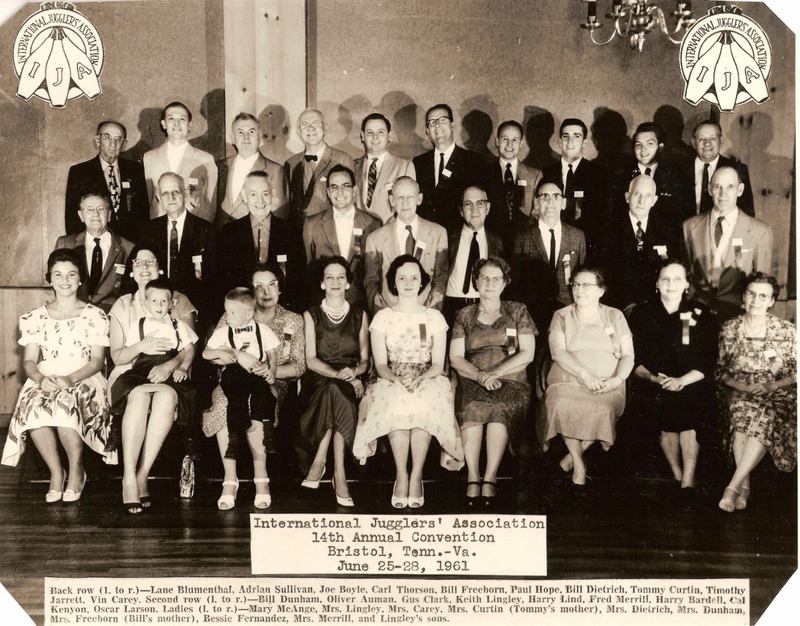 It’s interesting to note that a good number of those pictured in these photos are still alive, and at least two still attend IJA Festivals. 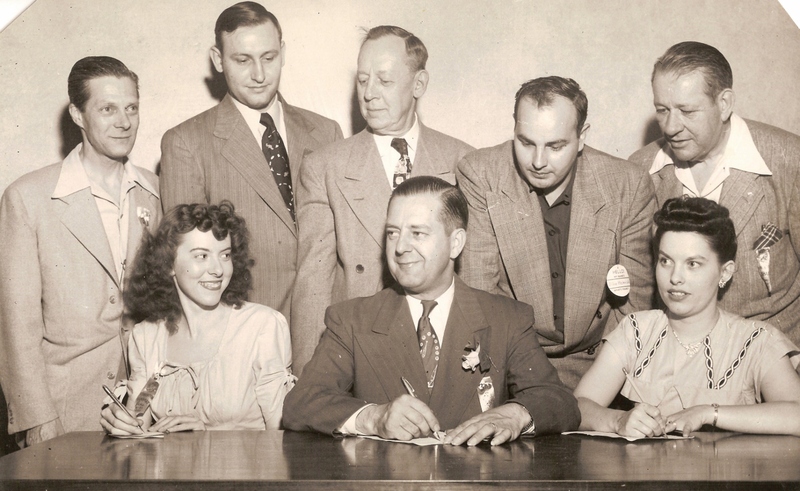 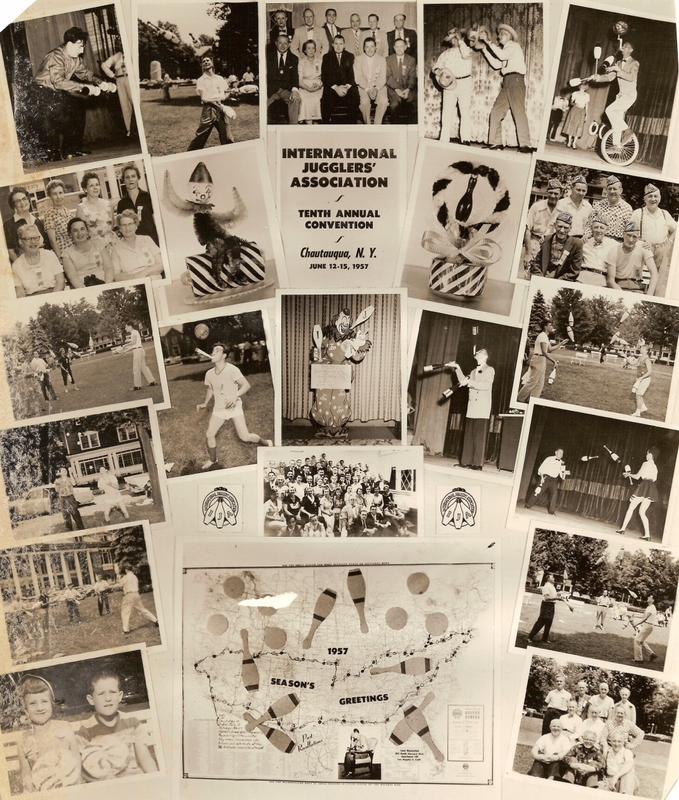 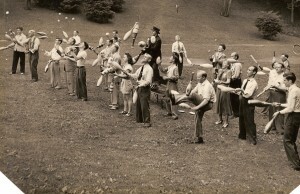 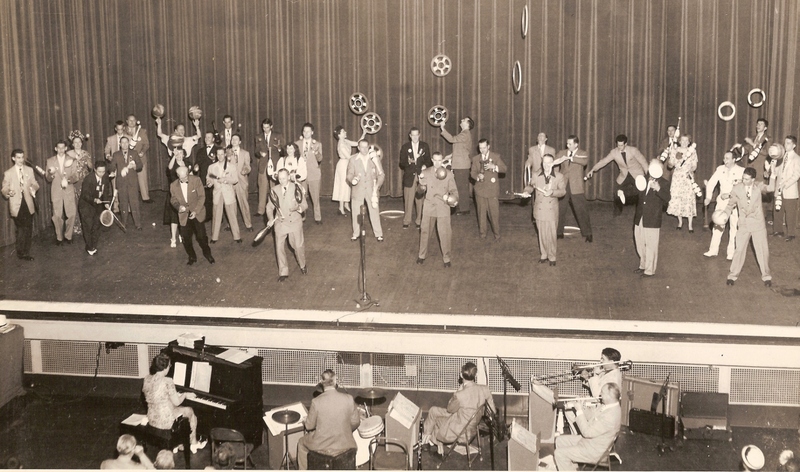 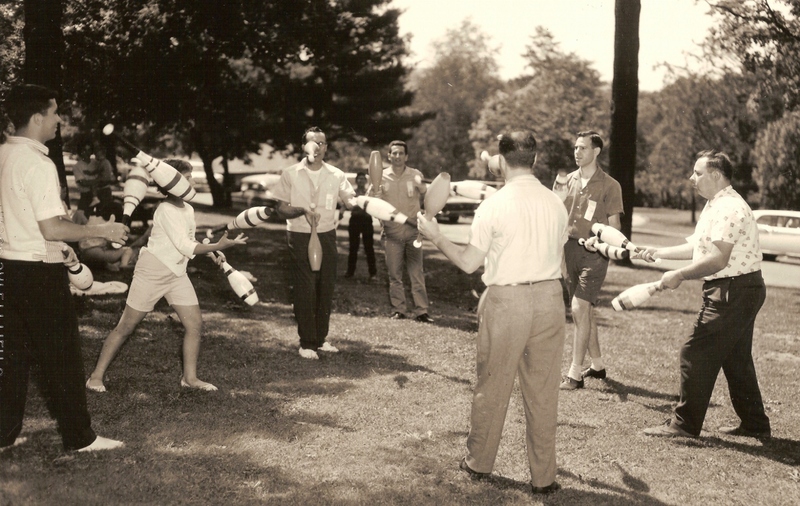 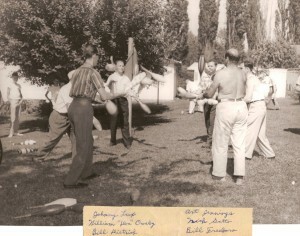 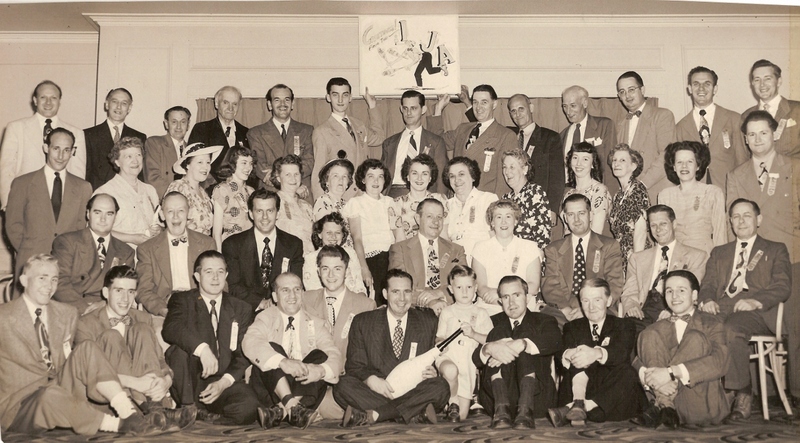 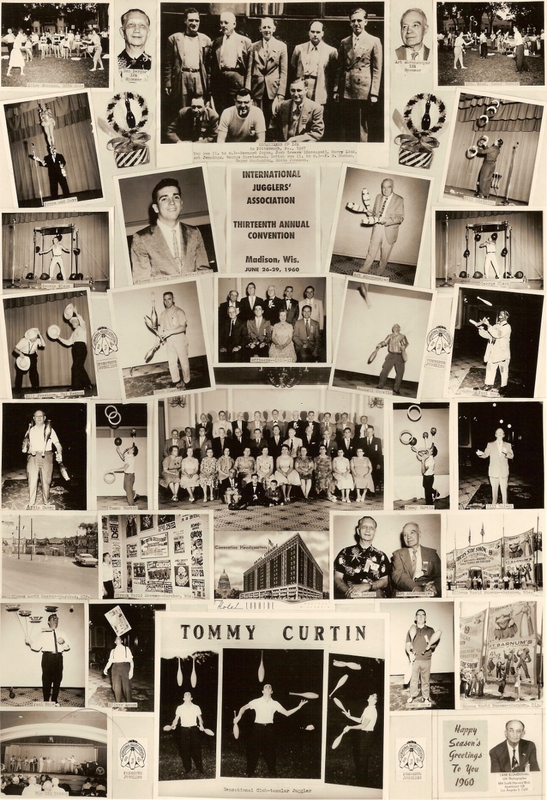 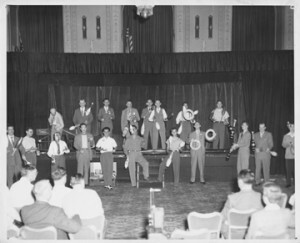 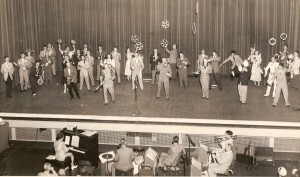 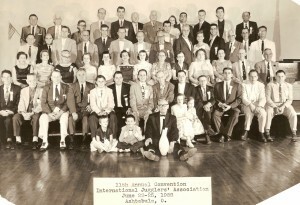 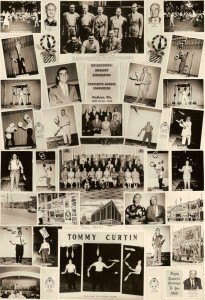 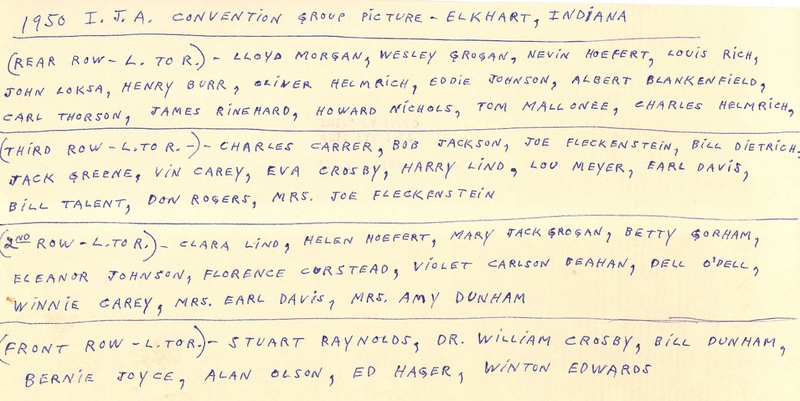 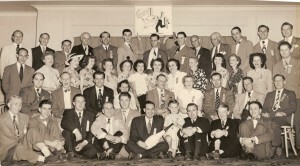 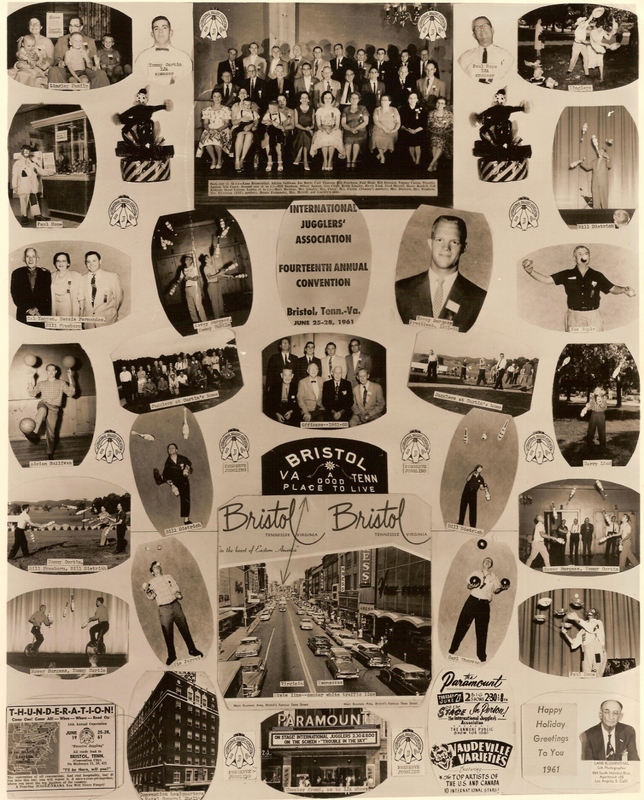 These include Betty Gorham Willer, Bill Dietrich, Bobby Jule, Tommy Curtin, Roger Dollarhide, Roger Montandon, Stu Raynolds, Art Jennings, Jr., and Hovey Burgess. 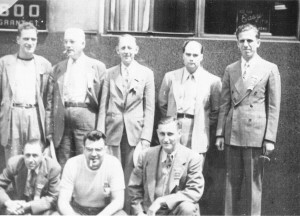 IJA Founders – (Top l-r) Bernie Joyce, Jack Greene, Harry Lind, Art Jennings, George Barvinchak. 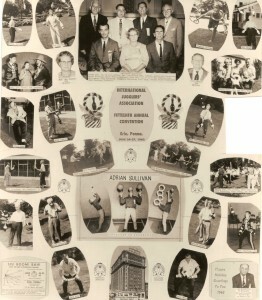 (Bottom l-r) Bill Dunham, Roger Montandon, Eddie Johnson.